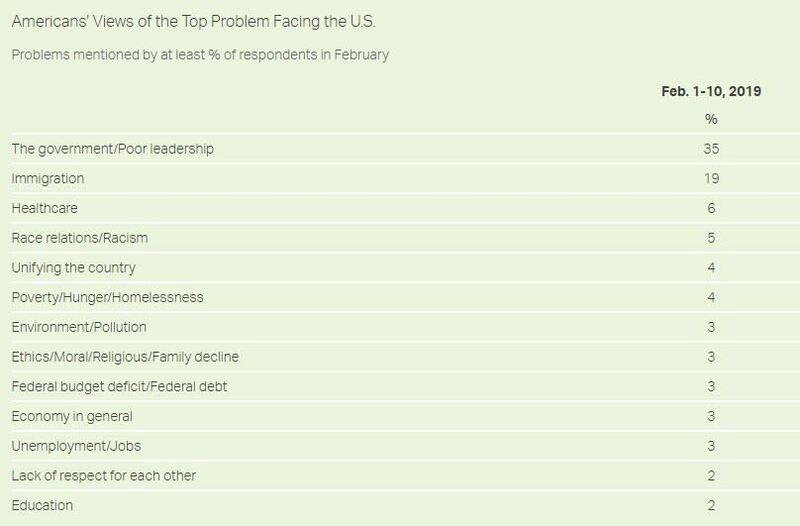 More than a third of Americans think that “The government/Poor leadership” is the “Top Problem” in America. That’s almost twice the percentage who listed the second-from-top option, “Immigration,” as being this. Consequently, that this Government does not represent the American people, is a fact which is beyond any reasonable doubt. America has the world’s highest percentage of its people in prison — the highest percentage in prison of any nation on the planet. If this means that it’s a police-state, then the U.S. already is leading the world as being that. Every other nation can reasonably look down upon America as having the highest percentage of its residents being in prison, and this American condition is entirely inconsistent with the country’s being a democracy. Of course, the U.S. also allows the death penalty, but that punishment is rarely imposed now, because of the international embarrassment. On 18 July 2018, Dave Lawler at Axios headlined "Comparing the popularities of leading world leaders”, and he reported that in the latest available polling within top nations, the job-approval of heads-of-state were: 55% Justin Trudeau (CA), 52% Shinzo Abe (JA), 48% Angela Merkel (GE), 43% Donald Trump (US), 40% Emmanuel Macron (FR), and 25% Theresa May (UK). Clearly, UK doesn’t now have an effective democracy, when its leader has only one-quarter of the public approving of her performance. That’s way below 50%. Macron’s 40% job-approval in France could also indicate that France is a dictatorship. 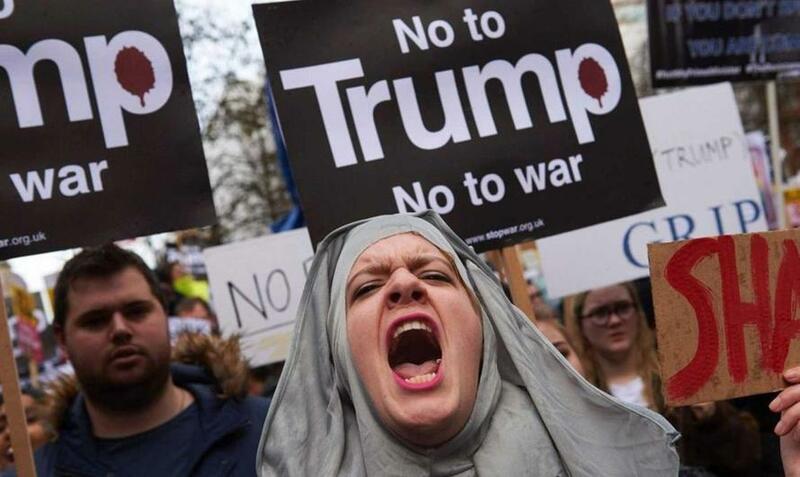 Trump likewise. The others probably aren’t, or aren’t as much, dictatorships. Earlier-polled national job-approval ratings showed that the national job-approvals of 7 leaders were, in order starting from the highest: Putin (83%), Trudeau (63%), Obama (56%), Merkel (54%), Italy’s Renzi (40%), France’s Hollande (12%), and Brazil’s Temer (11%). Also earlier-polled were 10 leaders, and they rated, top to bottom, within their respective nations: China’s Xi, Russia’s Putin, India’s Modi, South Africa’s Zuma, Germany’s Merkel, Brazil’s Roussef, America’s Obama, Japan’s Abe, UK’s Cameron, and France’s Hollande. All of those ratings were, of course, within nations. All of those polls sampled people only about their own nation’s leader. By contrast, approval-ratings worldwide for 10 leaders showed them, in order from highest to lowest, to be: Merkel, Macron, Modi, May, Xi, Putin, Salman, Netanyahu, Rouhani, and Trump. But those ratings aren’t relevant to the nations’ degree of democracy or dictatorship. The United States is the only country in the world that has been scientifically analyzed regarding its degree of dictatorship or else democracy, and the results were clear that it’sa one-dollar-one-vote controlled country; it’s not actually controlled on a one-person-one-vote basis; it’s a dictatorship. In other words, it is an aristocracy — the richest rule here — it’s not a democracy, of any type. I have elsewhere discussed a multitude of measures for the degree to which a given nation is either a democracy or a dictatorship. America doesn’t score high for democracy on any of them. The common references in the press using the term “democracy” to refer to America are lies. They may express accurately some of the formalities of democracy, but certainly not the realities (such as they claim to be doing). In conclusion, one may say that internationally the aristocracy has imposed, in many if not most nations, the ways and means to corrupt the government so profoundly that the aristocracy actually reign, but this hasn’t happened uniformly throughout the world. And only in the United States has it been scientifically proven that the Government is a dictatorship. Elsewhere, there is at least the possibility to question whether a nation is dictatorial, and, if so, to what extent. But unquestionably the U.S. is. And, according to the latest Gallup poll on what the nation’s top problem is, a stunningly high percentage even of Americans are now sensing that this is true. Short of performing a scientific analysis, however, the most reliable indicator of whether or not a given nation is a democracy might reasonably be that the higher the percentage of its people who are in prison, the lower is the given nation’s democracy-quotient, and that the lower this percentage is, the more democratic the government is. After all, either a military dictatorship, or a police state, is clearly not a democracy, no matter how much the given nation’s constitution and other formalities say it is.